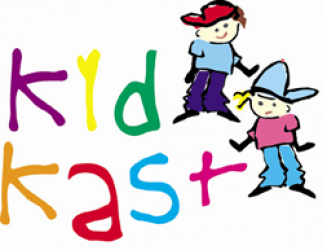 Our website address is: https://kidkast.ie. We offer a Contact Form facility on our website. Information entered into this form is sent via email to our administration email address and a copy of the email is stored in our server to ensure that in the event of an email outage we can still access the query. This data is then retained in accordance with our internal data retention policy. In particular this includes our Facebook data feed, if you are unsure of your privacy settings within Facebook please consult their help documents and policies. In order to know what our website visitors want and in order to ensure we are optimised to ‘rank’ within the various search engines we collect information on your visit via Google Analytics and Jetpack for WordPress. These tools track information on your visit in accordance with their technology and your own browser privacy settings. Note however that usage is anonymised and we do not get personal information on the users but rather statistical data. Data remains within KidKast with only data requested to be shared going elsewhere (i.e. if you fill in the contact form and ask for details to be forwarded to someone else). Our server is located in an AWS (Amazon) Server Centre located in Ireland. If you request to be contacted we will use the information provided for this sole purpose. Changes to this policy will be noted going forward by an * updated message. Your data is stored on our WordPress server behind Amazon firewalls and a Malware/ Anti-virus wall. In the event of a breach we will notify any users affected and the relevant authorities. However given that we do not house personal data on the website this is not relevant. Search engines and browsers will send information about your visit to our site. This is anonymised data and not personal data.